My various Doom projects are posted here. If it’s your first time playing any of these, DO NOT START ON ULTRAVIOLENCE. I do not balance my mods the same way Id did with the original Doom. If you insist on playing every mod on UV your first time through, you forfeit your right to complain about difficulty. 5-episode promotional megawad for my book series, Winter Agent Juno. Sequel episode to Project Einherjar with new enemies and dynamic music effects. 8-level remake of Operation Arctic Wolf set in the Junoverse. 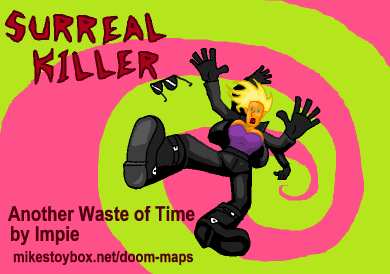 A short puzzle horror adventure comedy for Heretic. Part 1 of DOSworld, where I remade a terrible DOS shooter of the same name. Part 2 of DOSworld, a remake of another terrible DOS shooter. An awesome adaptation of Robocop for Doom II. 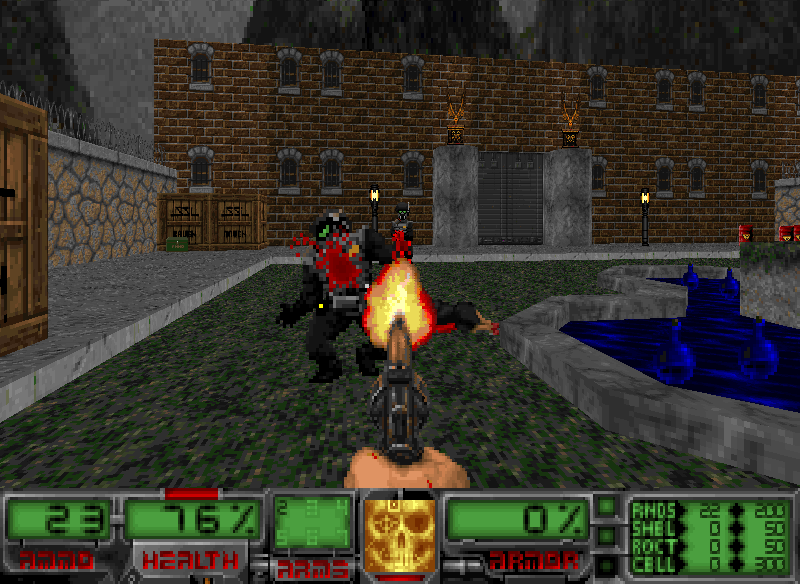 Gameplay mods that change Heretic, Hexen, and Deathkings into a scifi-&-sorcery epic. A bizarre weapon/monster replacement wad. A Lovecraftian weapon/monster mod based on the Amiga game of the same name. A gun/monster replacement wad based on Angst: Rahz’s Revenge. Guns and monsters replaced with the dumbest crap imaginable. A reproduction of the original Alone in the Dark mansion, including the underground caverns. Play it with Pirate Doom for the best results! I combined all the Sailor Moon mods into a single mod, with my own weapon pickup sprites. Made for Mayhem 1500 at Doomworld, using the Gothic texture set. Explore a gothic castle in search of a sleeping vampire. 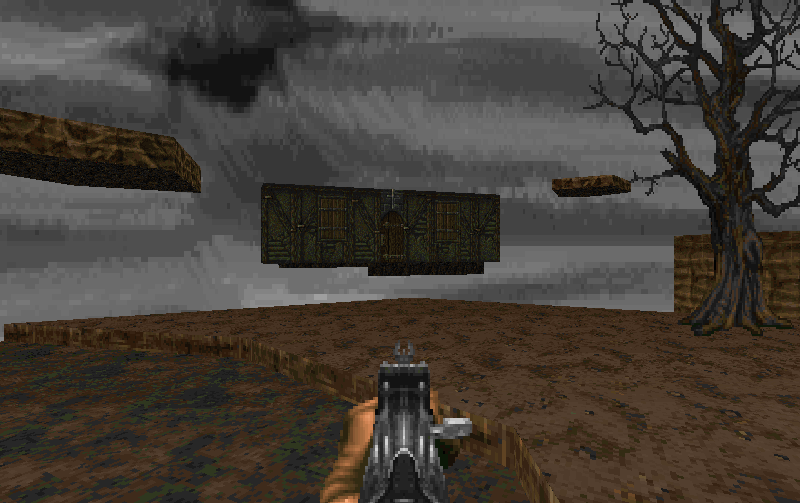 A weird space-time puzzle map for zdoom. I really like Inn escape.Hope you do more like this. First two episodes of your Strange Aeons partial conversion were immensely enjoyable! Loved the moody, surreal, dreamlike feel of the environments from E1, and E2 reminded me early techbase-style maps from Chasm at times. That moving fortress/giant armored vehicle map from E2 is pretty memorable, you rarely see stuff like that in Doom. Thanks for playing and commenting! I’m trying to finish E4, which hopefully won’t be a letdown. If Randolph Carter had the misfortune to inhabit the 21st century, I think you’ve well imagined the horrors he might encounter in the Earth’s dreamlands. Bravo. Thankya for the kind words! Version 3.5 is coming out soon. Hi, I was just playing Strange Aeons 5.3 using GZDoom 2.2 r889 and on map E2M3 the blue key wasn’t present. It was only when I found a YouTube playthrough of the level that I saw where it was meant to be, but on going there it just wasn’t present, meaning i was stuck in the room unable to get out. I did some testing and started the level from the map command, then noclipped directly there, and the blue key was present, but on doing the same thing with my save file from the start of the level, the blue key wasn’t present again. So it looks like a bug that doesn’t always happen, but when it does it gets saved within the savegame making progress impossible. 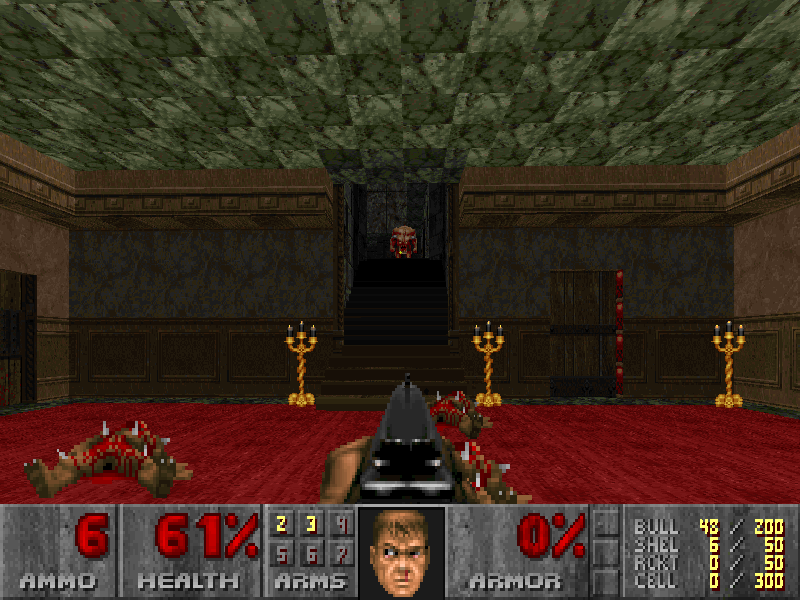 That’s why the site and readme recommend you play it in ZDoom. GZdoom devbuilds can throw things out of whack with a lot of mods. Try it in regular ZDoom and see if it still occurs. Okay, I finally got around to trying it with ZDoom 2.9 r1021 (as I’ve always used GZDoom), and the exact same issue happens. In normal gameplay when the map loads on level transition, the blue key isn’t present in E2M3 resulting in you getting completely stuck. It must be a map issue as I’ve never had this kind of issue on any other mod. Are you playing on easy? Apparently the key wasn’t flagged for those settings, so maybe that’s the issue. If you’re not playing on easy, I’m clueless what could be causing it. Playing on the second difficulty level – “Hey, not too rough”. Thing is, if I instead warp directly to the level using the map command, I can see that the blue key is present when I noclip over to it to test it, but when I play the game normally, going from level to level (and the only saves made were the autosaves at the start of each level) the blue key is missing so I end up locked in that room unable to continue. Check the new version and see if it’s fixed. Otherwise I have no idea, unless it’s a devbuild issue. Zdoom 2.8.1 is the last version to have a news update, so I imagine that’s the latest non-beta release, and it never has this issue. I think that fixed it! On seeing you mention the difficulty levels, I re-tested the level by setting the skill value then using the map command. At skill values 0, 1 and 2 the blue key was missing, but at 3 and 4 it was present, suggesting that it was indeed related to the difficulty level. On downloading your new version, skill levels 0, 1 and 2 now have the blue key present, so it appears to be fixed. Yep, confirmed as fixed now as even on normal level transitions through game progress the blue key is now where it is supposed to be. Oh, and it was just skill levels 0 and 1 that were affected, not 2 as I mentioned previously. Never did find a way to open that wooden door in the future dimension in Inn-escapable, boo hoo! Anyways, you can fall into the toilet and not get out of it without jumping in the starting dimension. If you mean the wooden door hidden behind the “fridge” thingy, you have to open that door in the previous timeline, then quickly teleport to the next one and run through before it closes. I should’ve connected more of the doors that way as a clue to the solution. The simplest fix would be to make the button that “flushes” the toilet shootable, since that raises the middle of it and would let you free. Oops, can you move my previous comment to this section of your site please? I accidentally posted my thoughts in the wrong place… sorry about that. Thank you for taking time and doing Strange Aeons, i am big fan of H.P. Lovecraft “Kadath” novel. Thanks for playing! Keep an eye out for the Dr. Chaos Heretic map set next year. It has a bit of a Lovecraft vibe as well. Re-played it with High Noon Drifter, it’s still as awesome as before, thx Mike! ” not sure why ,project einherjar , and M.o, don’t work for doom touch pro… any suggestions? I have no idea how Doom Touch works, so I can’t help you. Sorry. 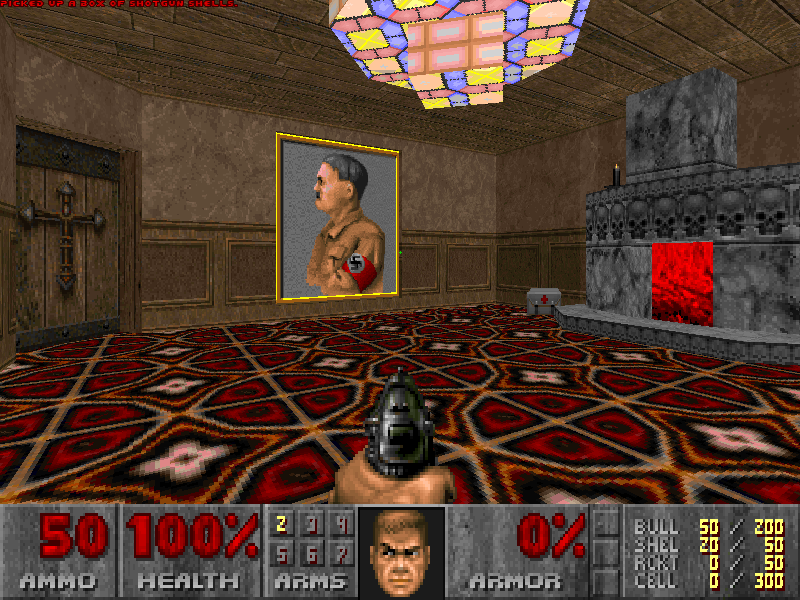 Shah, there is a newer version of doom touch called delta touch, its based around gzdoom rather than zdoom, it works with alot of newer stuff though it can be laggy on some of Mike’s maps as well as some addons flat out don’t work. I loved Project Einhajar and Midgard Outlaw. You are are master of Doom Maps. Definitely check out Operation Sea Wolf then! I concur! He’s one of my favorite Modders/Mapper of all time. Mike, you’ve inspired me to make my own mega-wad inspired by Strange Aeons, I’m very thankful of you for this and I figured its only right if I asked you if I could borrow some of your code, specifically on the Ballistic knife from PE. It’s for a throw attack for a combat knife. You should also know that I have been using the Guns ‘n Monsters addon of SA but most of everything has been replaced and I’m merely using it for a guide on how to make a weapon and music changing wad. Hey! You can look at the code, but it’d work better if it didn’t pierce, since that wouldn’t happen with a thrown knife at all. I think all I did to make it retrievable was use a particular spawn thing action in the death state, but it’s been so long I don’t recall. Go ahead and dissect my stuff if it teaches you how to use Decorate! Thanks for playing all my projects! No, but it IS really old. 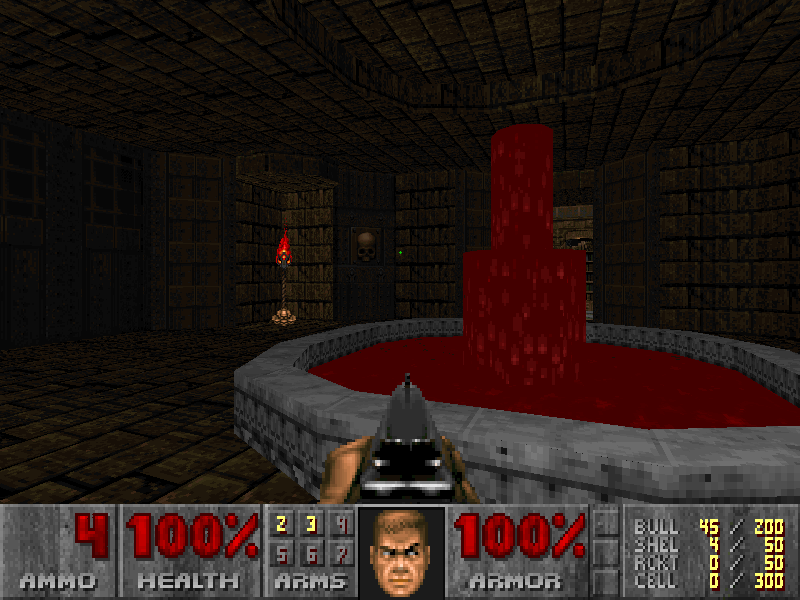 My first doom maps were revamped and added to Strange Aeons.